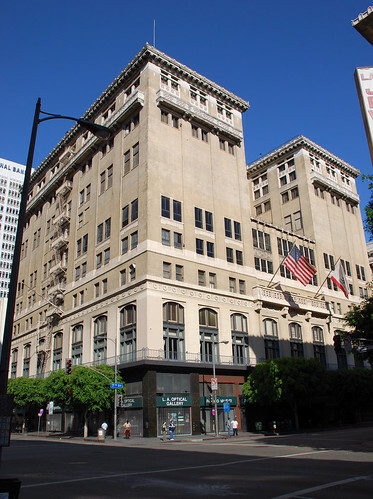 The Los Angeles Athletic Club was formed back in 1880, its first president being James B. Lankershim, its first headquarters in the Arcadia Building on Spring Street. 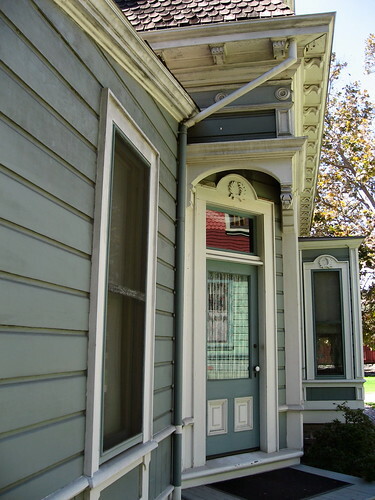 For most of the decade it was the on the Downey Block, after which it relocated to South Spring Street, first at 226, then at 523 ½. 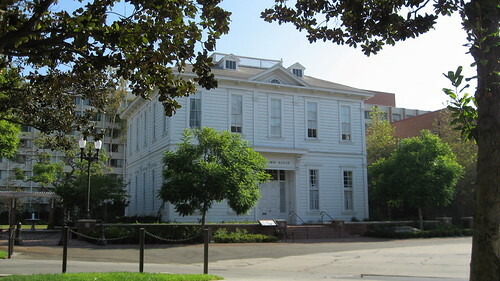 The L.A.A.C.’s website says members included muckety-mucks Harrison Gray Otis, Harry Chandler, Eli Clark, Moses Sherman, Henry Huntington, Edward L. Doheny, Charles Canfield, Senator Stephen White, and Mayor Fred Eaton. 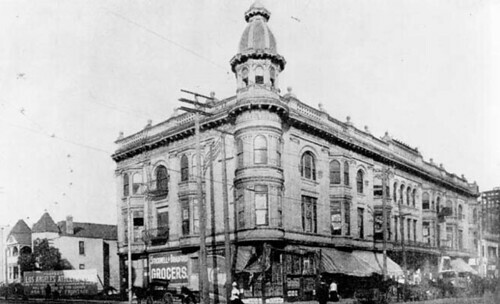 In 1911, construction on a new club building began at Seventh and Olive Streets on the site of the former Hotel Baltimore. 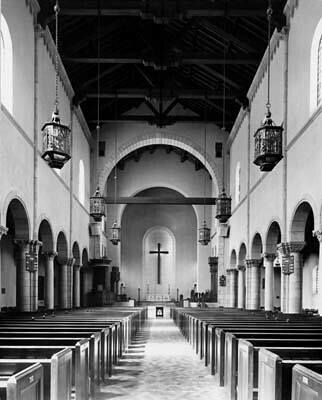 John Parkinson and Edwin Bergstrom were the architects. The Beaux Arts building stands twelve stories tall and features pressed brick with a trim of terra cotta. 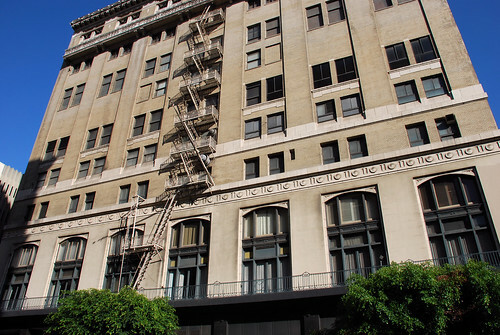 The Los Angeles Athletic Club opened its gym at noon on April 8, 1912. Back then, the big thing was the historic, 100-foot swimming pool. Holding 166,000 gallons, it was the first pool to be built on an upper floor (in this case, the sixth). Here 'tis from the inside. 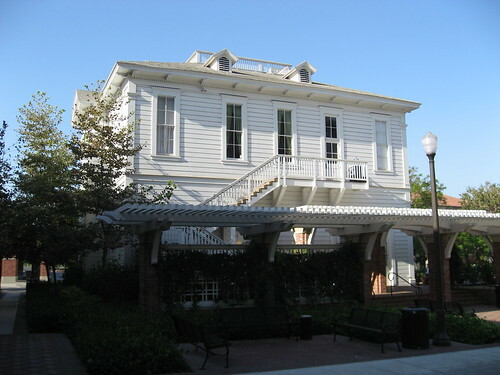 During the teens and twenties, the crème de la crème of early Hollywood hung out there, most notably Charlie Chaplin, who lived at the club for a spell. I could go on and on, but I’d just be copying stuff off the club’s site’s history page. 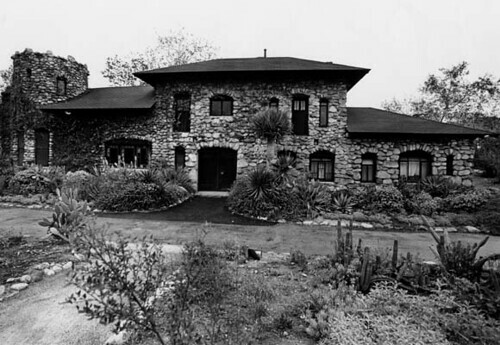 If you’re interested in the set-up as it was in late 1911, look up L.A.A.C. 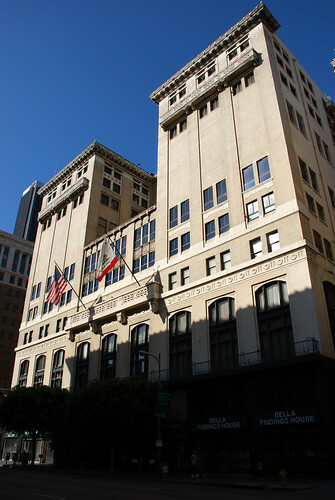 president Frank A. Garbutt’s series of articles for the Los Angeles Times called “The New Athletic Club”. Over the course of a couple of weeks, Garbutt went into lots of detail of the building, one floor per day. The collection is a veritable advertisement for the club. (Garbutt was with the club from 1890 to 1947.) One of my favorite bits of information is "The garbage is taken care of in a unique manner, being frozen in a special garbage refrigeration room, thus keeping it sweet and sanitary during the time it remains in the building." 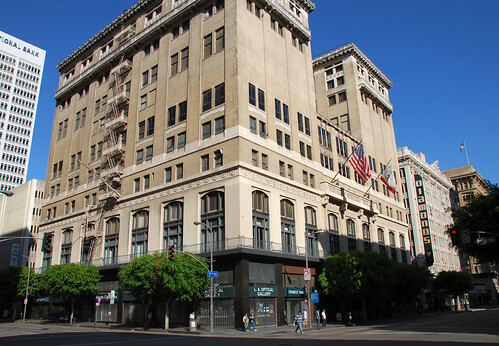 Finally, one more shot of the Los Angeles Athletic Club. 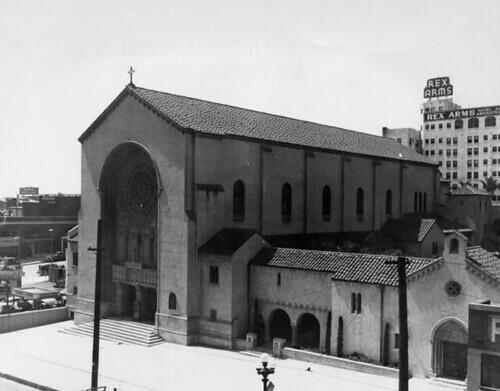 That’s the old Pantages Theatre to the right, now advertising something called “olamono5”. 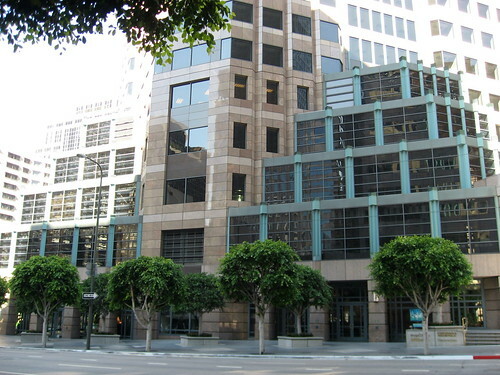 Since 1965, HCM No. 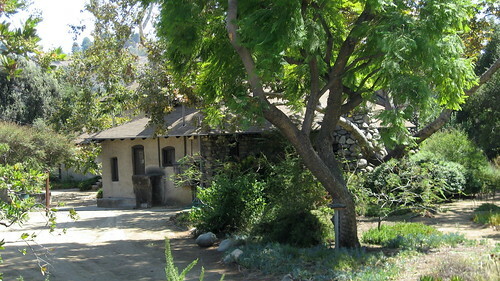 68, the Charles Lummis Residence, has served as headquarters for the Historical Society of Southern California. The place is open to the public, as a rule. 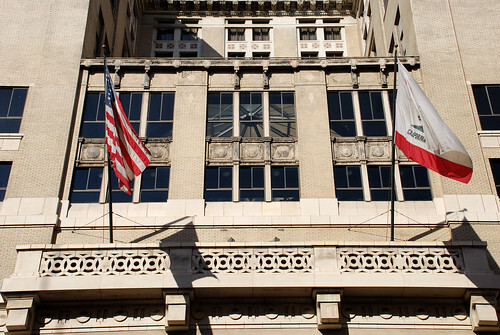 Unfortunately, rules are often broken, and the landmark is under a temporary shutdown. This I didn’t find out until a couple of Saturday afternoons after it closed. The color photos you see here were taken, by me, through a chain link fence surrounding the property. 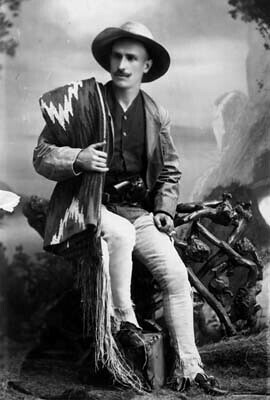 Charles Fletcher Lummis loved all things Native American and of the U.S. Southwest. He also loved smoking, drinking, and screwing around. A lot. 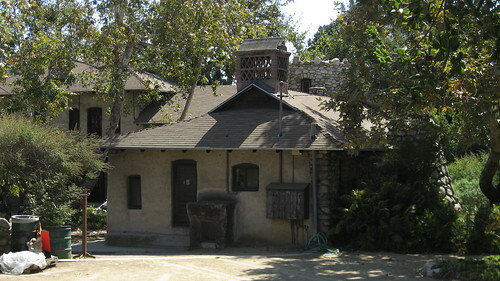 Lummis was born in Massachusetts in 1859. Went to Harvard, wrote some poetry, made friends with Teddy Roosevelt, etc. In 1880, he married Dorothea Rhodes in Ohio. Four years later, while working at a Cincinnati newspaper, he got a job offer from the Los Angeles Times. 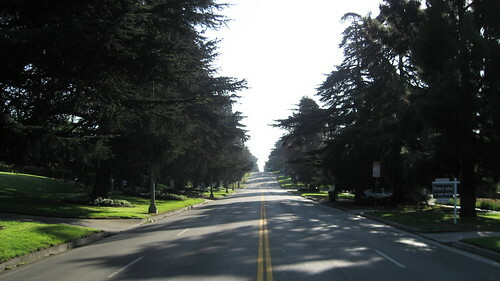 He accepted the post and traveled to Los Angeles – by walking there. 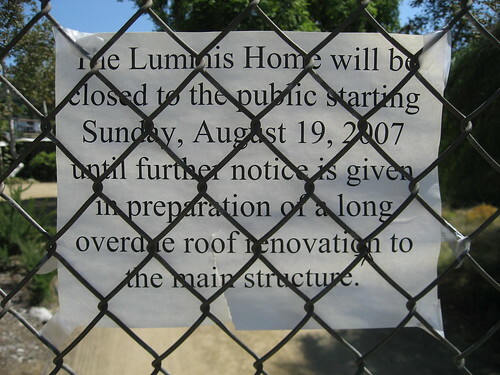 While both of my trips-on-foot from Ohio to L.A. were made in a beeline of about 2,200 miles, Lummis took 143 days in a journey which can be described as meandering. Lummis’s journalistic correspondences during the trip were compiled in the book A Tramp across the Continent (1892). Suffered a stroke (had to teach himself to roll and light a cigarette one-handed), moved to Mexico to recover, and, there, survived an assassination attempt (was blasted with a shotgun). Got divorced. Remarried. Took about 10,000 pictures of Native Americans. Hung out in Peru for about ten months. Moved back to L.A. 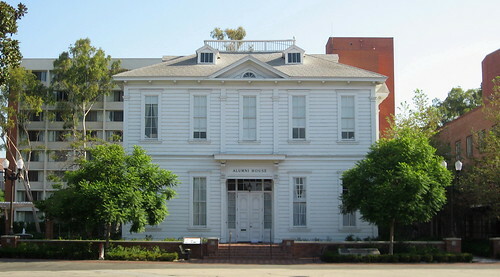 Led the formation of the Landmarks Club of Southern California (1895). Established Indian rights group, the Sequoya League (1901). 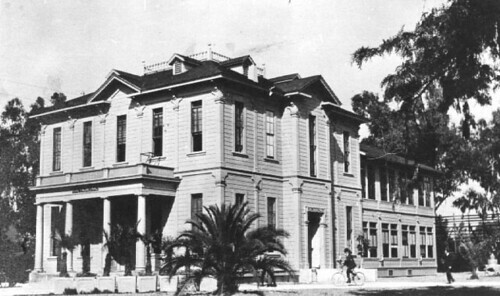 Became head of the L.A. Public Library (1904). 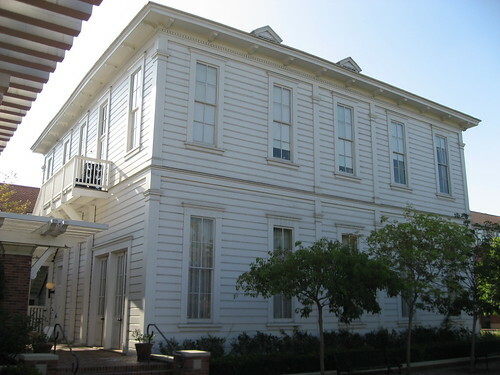 Took part in setting up the Southwest Museum (1907) (it opened its doors on August 1, 1914). Lost the library gig, went blind from "Guatemala Fever" for a time, went broke, got divorced again. Re-vamped an earlier book, publishing it as Mesa, Canyon, and Pueblo, his most important work, in 1925. Died on November 25, 1928. Now, for the home. 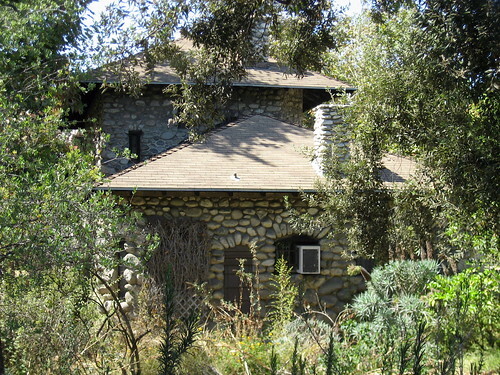 Lummis bought a two-and-half acre plot of land by the Arroyo Seco in May, 1894, for $650, driving in the stakes at the end of that summer. 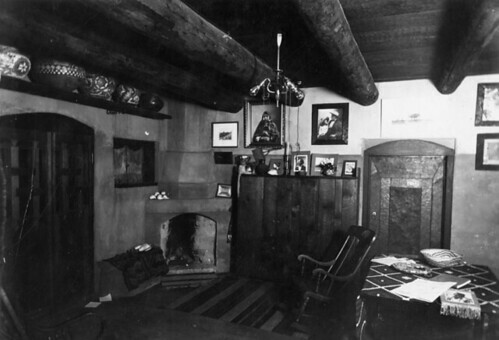 He moved his family into a four-room shack on the property in the autumn of the following year. 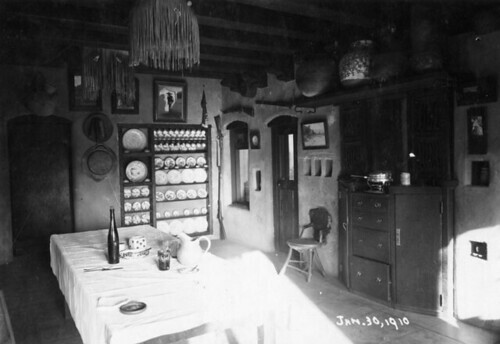 In June of 1899, work was finished on the main room, the 28x16 feet Museo. Oh. Did I mention he built it himself? Well, pretty much, anyway (he had the help of a few teenagers). 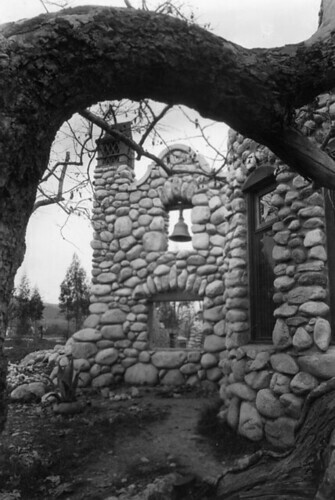 He hauled the boulders, cut the wood, and did whatever else one does when one builds a house by oneself. 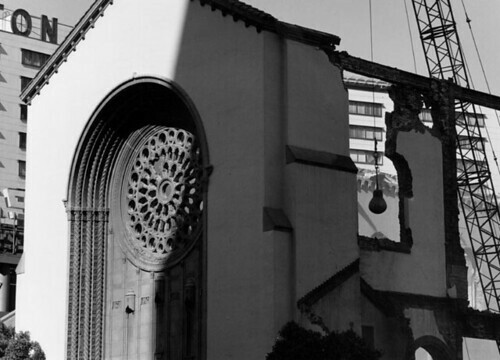 CFL worked on the building for about fifteen years. While I didn’t get a look inside El Alisal (it was closed, remember), this guy did. 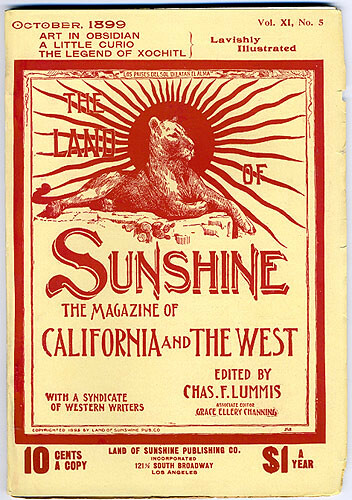 And while there’s tons of information about Charles Lummis around the web, you could do a lot worse than reading Mark Thompson’s 2001 bio, American Character: The Curious History of Charles Fletcher Lummis and the Rediscovery of the Southwest. 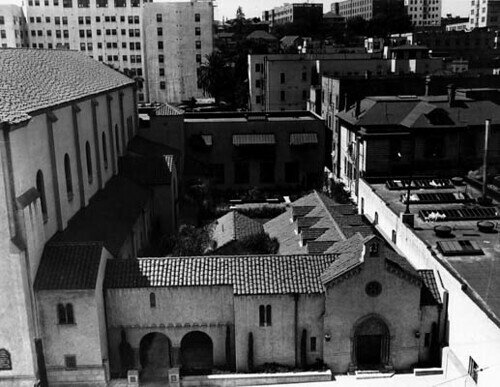 The black and white photos here are from the L.A. Public Library photo archive. Public domain, I reckon. 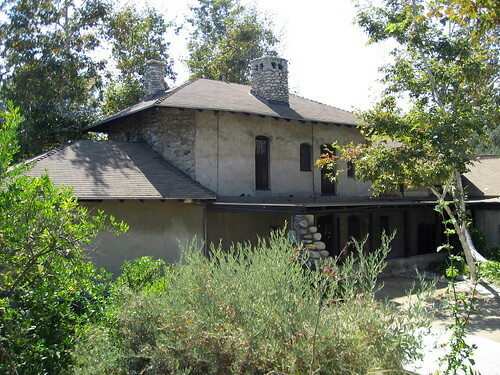 The Lummis Residence is also a State Landmark (No. 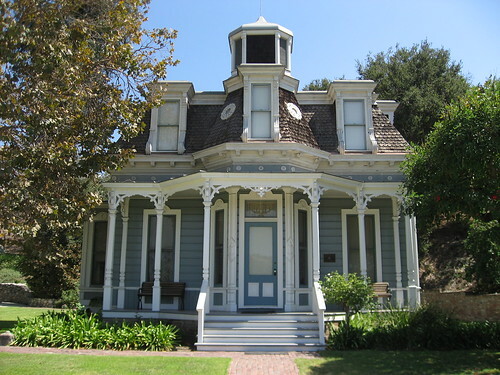 531) and is listed on the National Register of Historic Places. 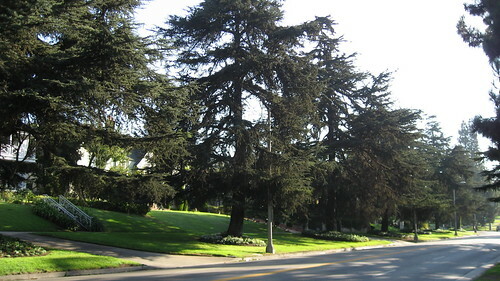 During War World, the Loz Feliz Improvement Association and the Los Feliz Women’s Club banded together to plant a crop of trees along Los Feliz Boulevard as a beautification project. This, according to the Los Angeles Cultural Heritage Commission. 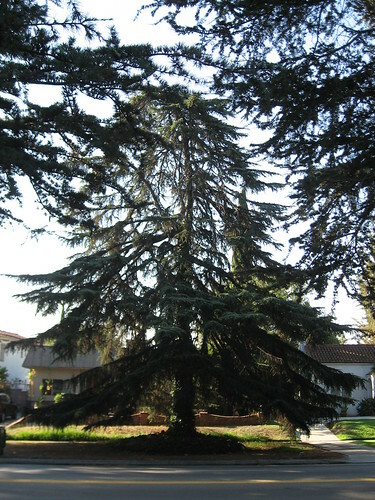 The groups chose two types of cedar trees: Atlas Cedars (Cedrus atlantica) and Deodar, or Himalayan, Cedars (Cedrus deodara). 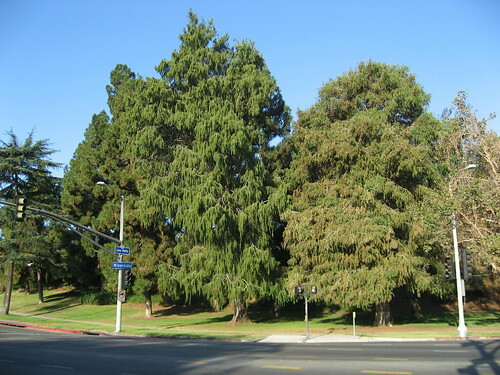 Of course, I can’t tell which trees here date back to 1916. 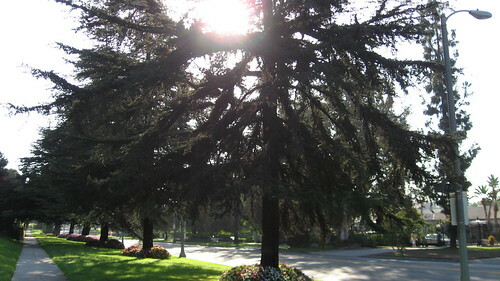 Also, of course, many of the trees on the boulevard and some in these photos are neither Atlases nor Deodars. 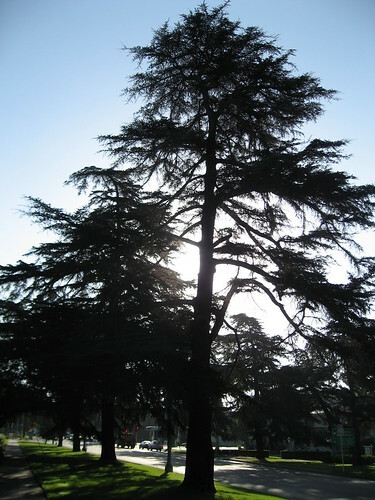 If Deodar Cedars are your thing, make sure you visit Historic-Cultural Landmark No. 41. Okay. 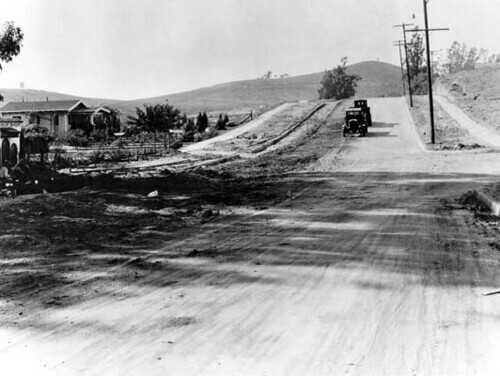 So the L.A. Public Library says the shot below was taken on Los Feliz Boulevard at Commonwealth Avenue on August 21, 1925. You can't too well compare it with the picture above, also taken at Commonwealth, because they're from two different vantage points, almost 180 degrees. 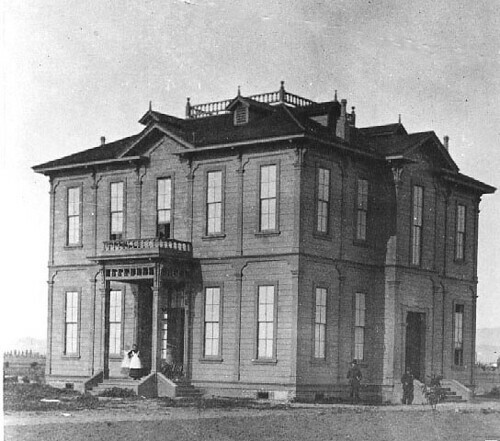 However, you can notice the paucity of trees in the vintage photo. 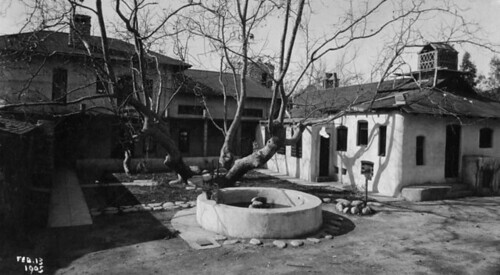 The shot here, below, is also from the Los Angeles Public Library photo collection. 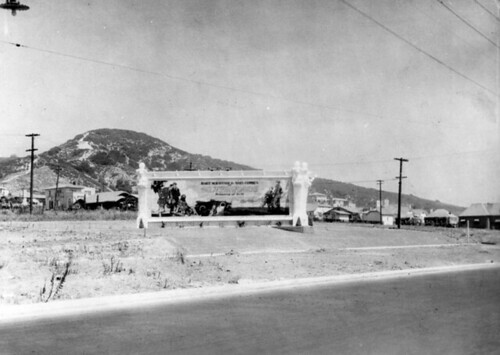 This one is of the boulevard, east of Vermont, around 1920. 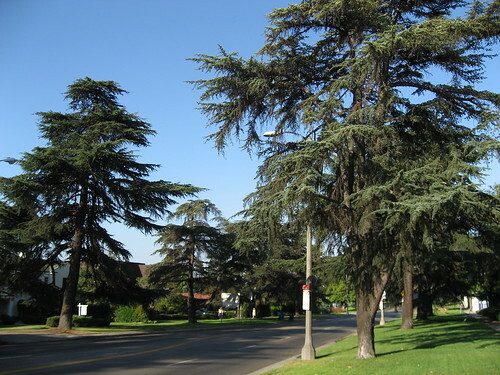 If the beautification program was from four years earlier, I'm starting to wonder if the groups didn't just pocket most of the cash meant for tree purchasing. 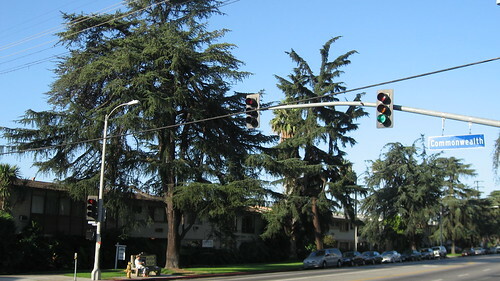 Because you read this far, next time you’re stuck in Los Feliz Boulevard gridlock on the way to the Greek Theatre, you’ll be able to bore your fellow concert-goers with your knowledge of these evergreen landmarks. I don't think this is either an atlantica or a deodara. 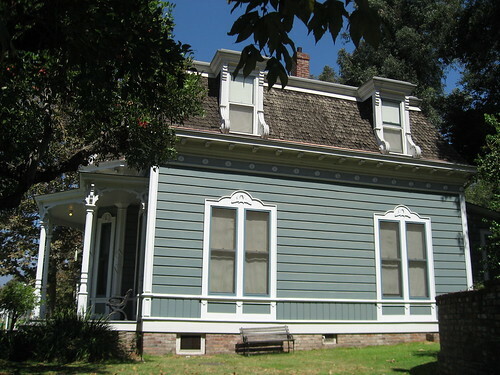 Prior to being moved to Heritage Square, this eleven-room, Second Empire house with its Mansard roof spent most –but not all – of its life at 1926 Johnston Street in Lincoln Heights. 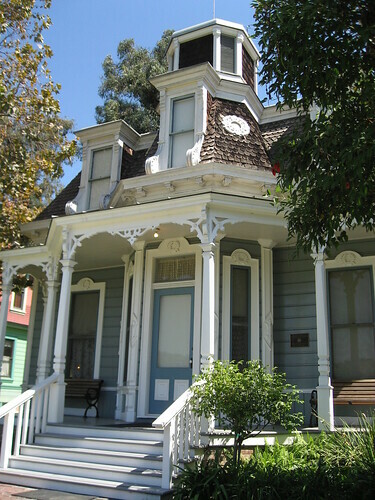 According to Gebhard and Winter’s Los Angeles: An Architectural Guide (1994), the home was built around 1877 in East L.A. for a man named Richard E. Shaw. 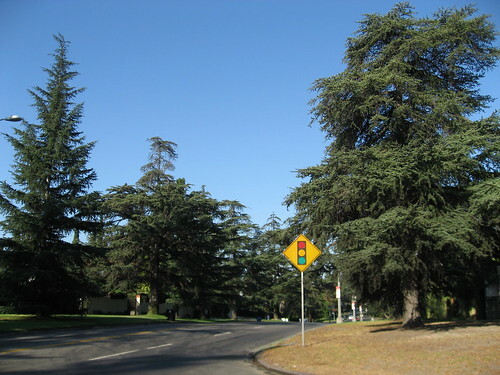 McGrew and Julian, in Landmarks of Los Angeles (1994), agree it was cabinetmaker Shaw (It would've been a better story had he made two-wheeled carts. Richard Shaw. Rick Shaw. rickshaw. Get it? 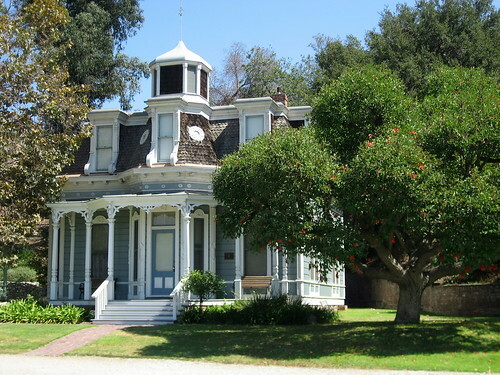 ), but they date its construction to 1883-1884. 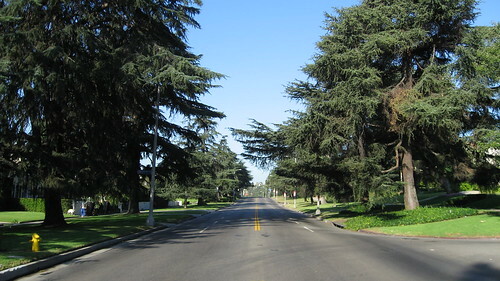 M&J also say the original site was Mozart Street near Broadway in Lincoln Heights. 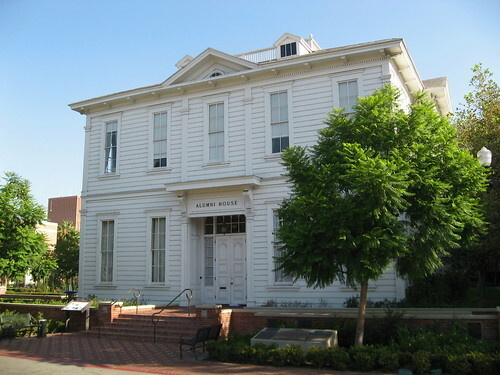 At the time of the house’s designation, the Cultural Heritage Board reported the building was either bought or moved to the Johnston Street site by miner Joseph S. Lord in 1903. 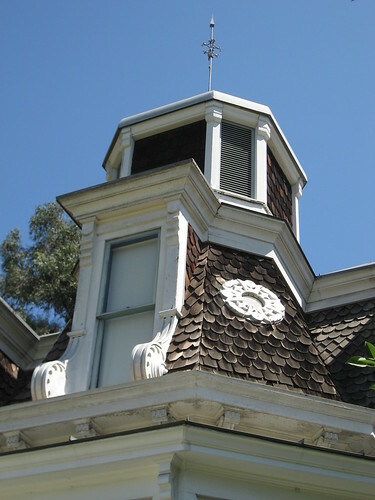 The monument’s dedication plaque says the residence is a “19th century Mansard style “Petite Chateau” – a gracious reminder of French influence in Los Angeles”. 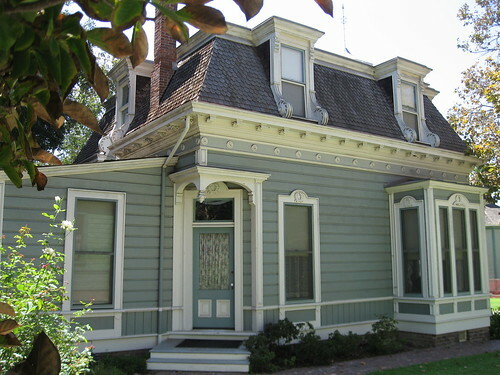 Charles Weyand sold the house to the city in 1970, and it was moved to Heritage Square that year. 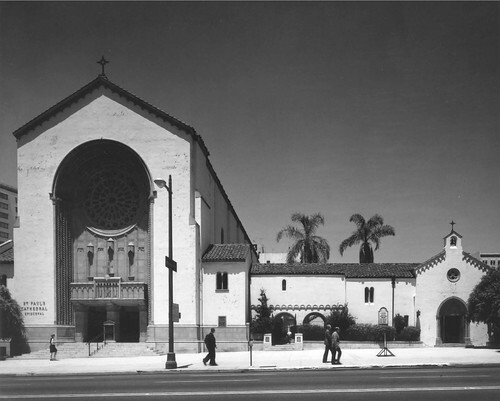 In February, 1971, the building was dedicated to Mrs Valley Knudsen, who, in 1949, founded the beautification organization Los Angeles Beautiful. She loved trees, and, man, she sure hated litter. 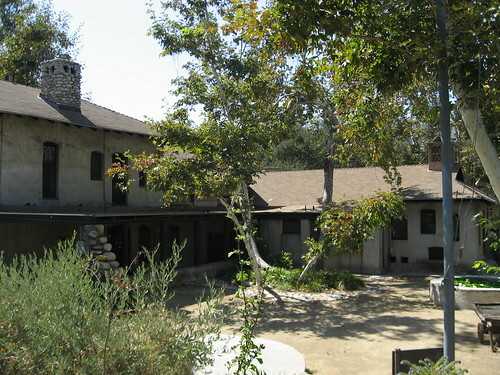 She was also the founder and president of the Bel Air Garden Club, which paid for much of the house’s renovation. 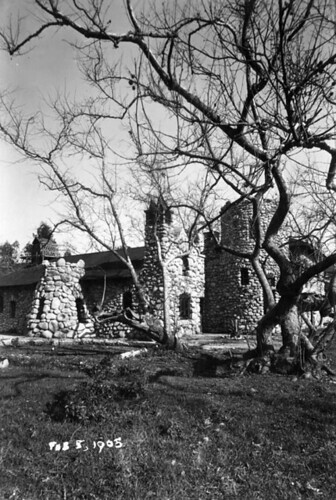 Preservation-minded Valley was married to dairy king Thomas Knudsen. After a lifetime of public service, she died on September 10, 1976, at the age of 81. Oh. And she's got a camellia named for her, too. 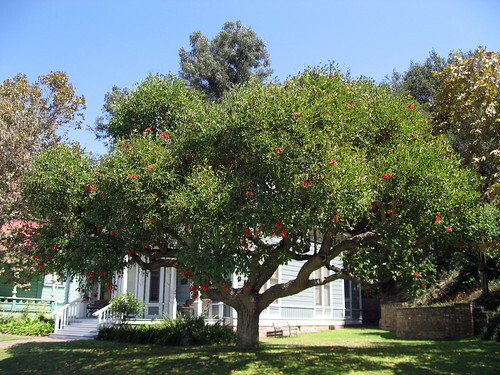 Also dedicated to Knudsen at Heritage Square is the Coral tree by the Garden-Residence. 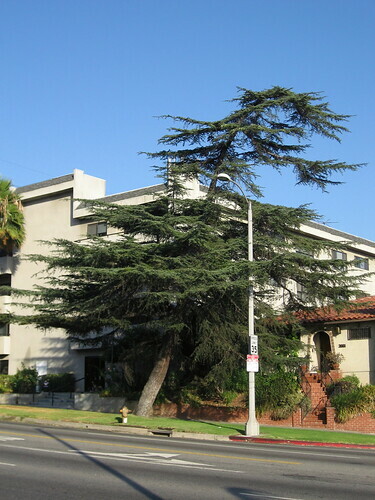 (The Coral tree in Los Angeles’s official tree.) 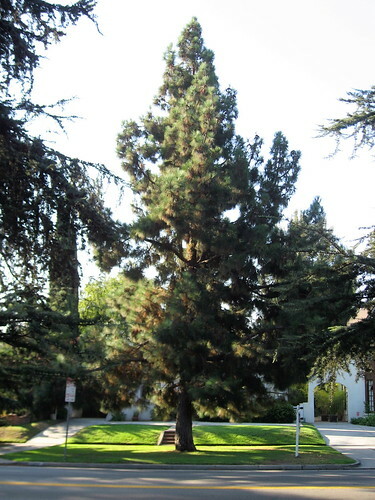 While the L.A. Times, covering the dedication ceremony, reported the tree was new, the truth is it made the move along with the house from the Johnston Street address. By the way, I think that picture at the top of the post is the most obvious of all shots taken at Heritage Square – straight on, dead center. I feel honored to add yet another version of it to the bajillion already out there.